With ski-in, ski-out access and breathtaking mountain views, these luxury en-suite bedroom apartments provide the perfect accommodation for that ski holiday you’ve always dreamed of! 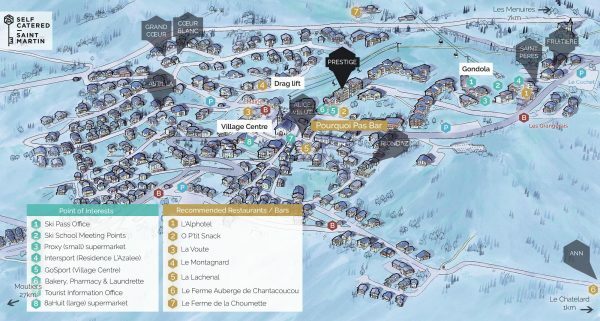 Being situated in a residence directly next to the village slope and drag lift means you have direct access to skiing. Although you’ll have to take several flights of stairs to the apartments when walking into the village it also means that these apartments can be offered for a great price! We are offering four individual 8-person apartments, all located within a residence directly above each other. These apartments are great to be booked together offering space for 16, 24 or 32 people in combination. Below the village map you will find an overview of the availability and prices of all the Prestige apartments. The prices above allow up to 8 people.